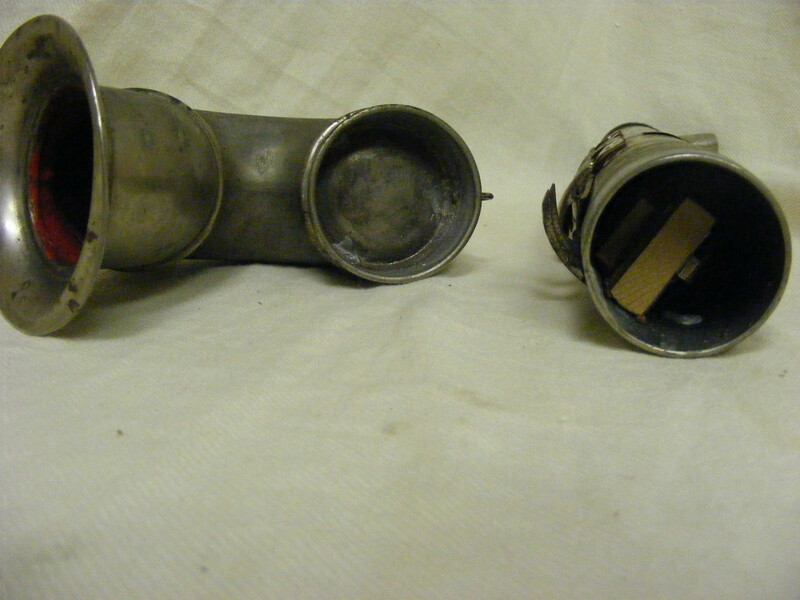 Here is another blow accordion of German origin. 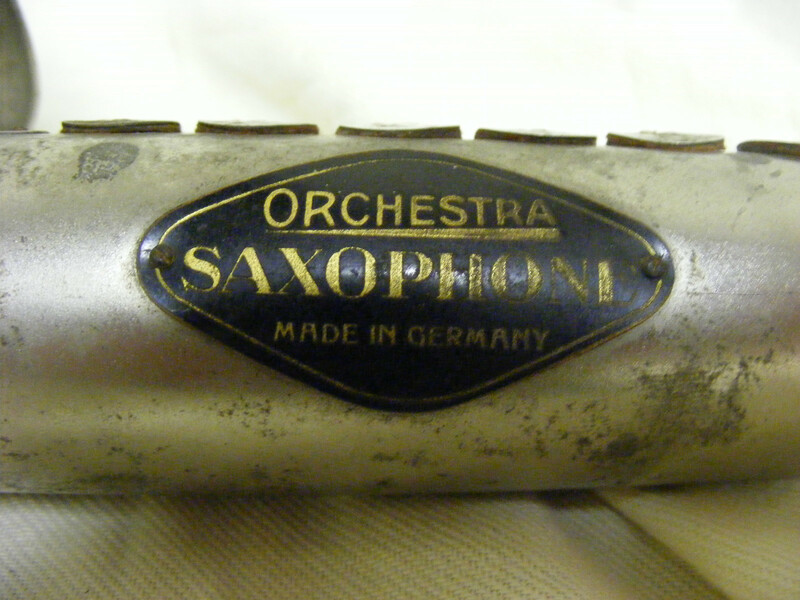 This Orchestra Saxophone says Made In Germany on it. 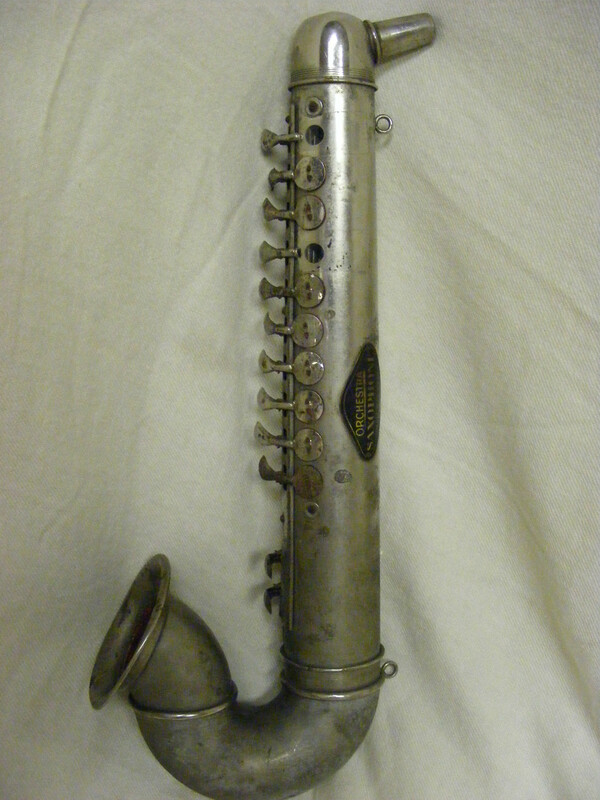 Like most of these instruments (the Hohner Saxonette, the Haro, the Ands. 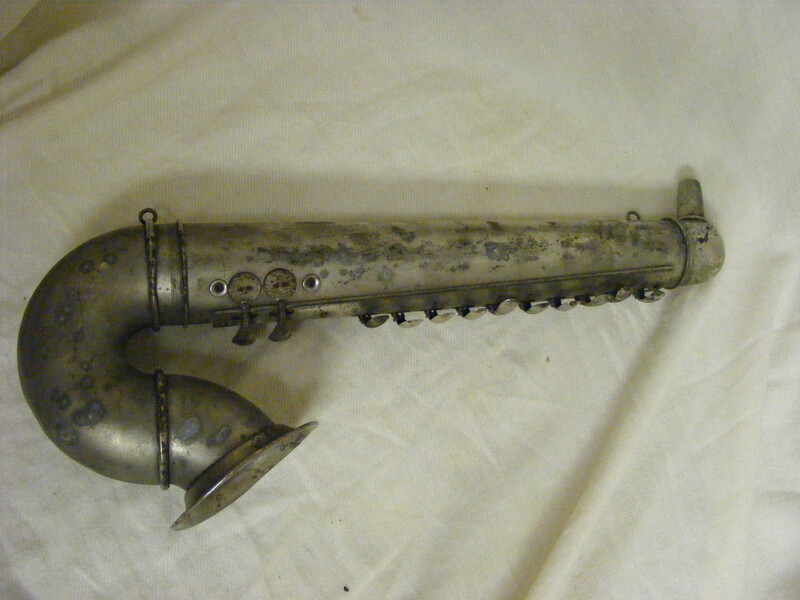 Koch Saxaphone, etc. ), it appears to have been built before WWII. 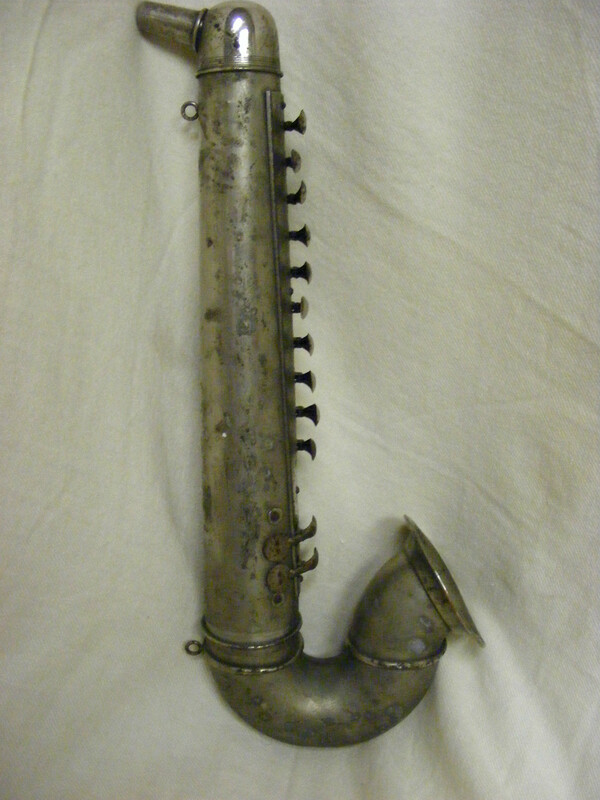 It is obvious this instrument has not had an incident-free life. 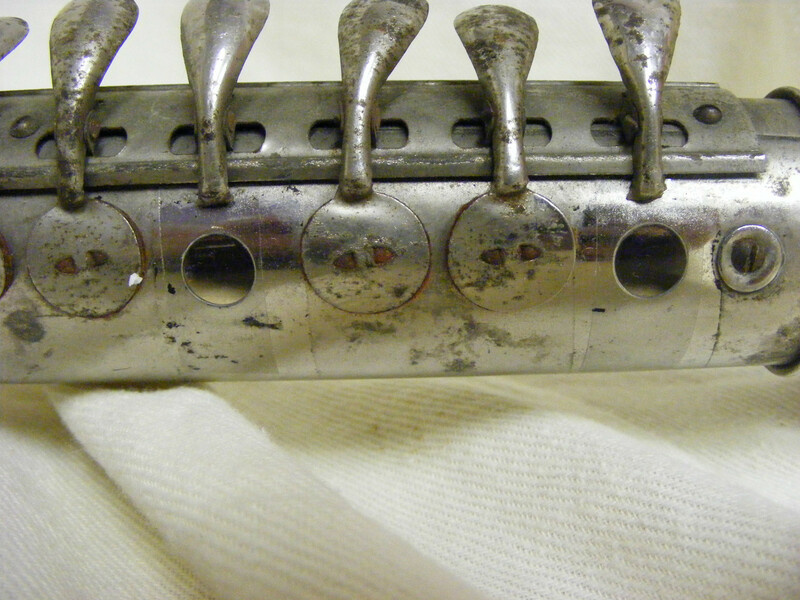 It is missing a couple of its keys, and the former owner just covered the open tone holes with scotch tape. 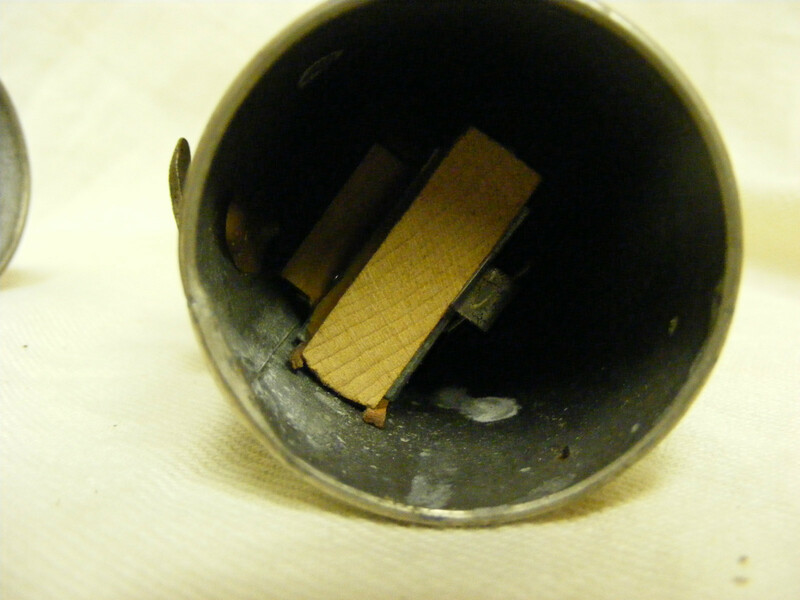 Also, it appears that the bell lip had a run-in with a door frame, counter, floor, or other hard object. 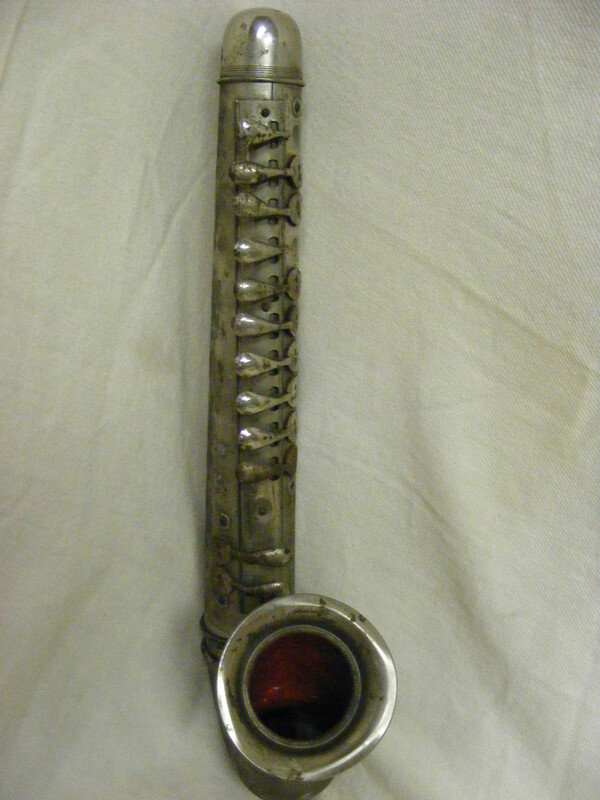 Its rather tarnished surface speaks to the type of environment this instrument was exposed to or kept in. 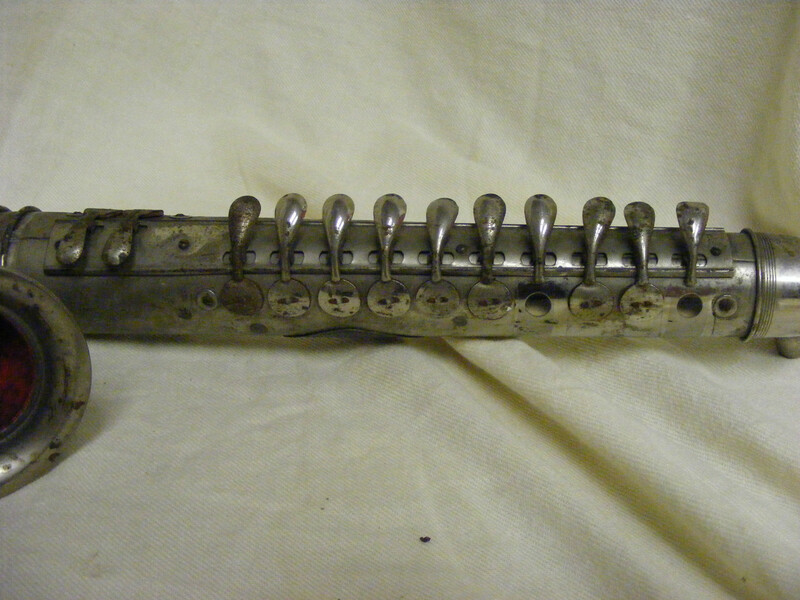 This particular blow accordion is a 10 key model, with 2 bass/chord keys. 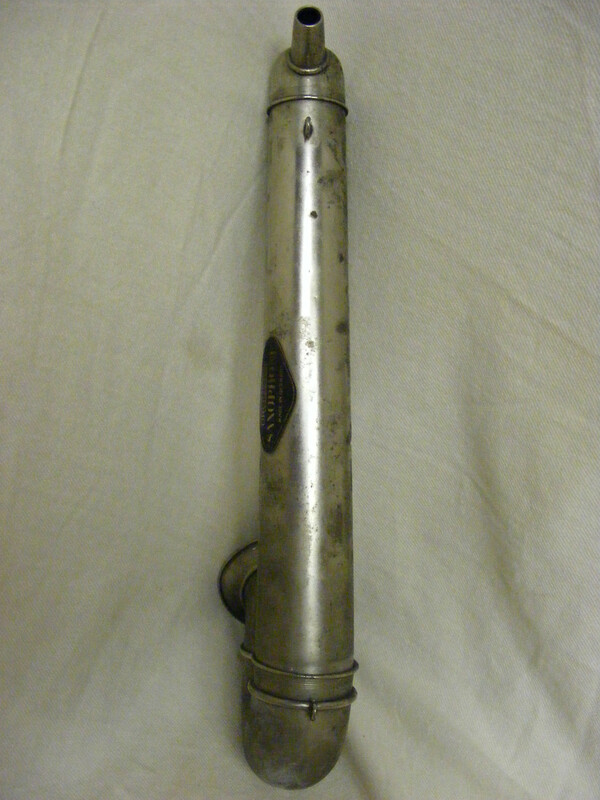 The seller stated that it was 14 1/2″ long x 6″ wide.